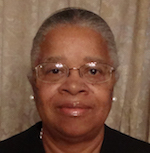 Gloria Lawsha Smith is an independent historian in Fort Worth, Texas who holds a Bachelor of Arts degree in journalism from The University of Texas at Arlington in Arlington, Texas, and a master’s degree in journalism from The University of North Texas in Denton, Texas. Her writing experience spans various industries including the media, banking, telecommunications, and technology. Following a career as a technical writer and editor for IBM Corporation, she decided to leave corporate America in exchange for a calling to homeschool. She fulfilled her goal and taught each of her six children at home through high school. While teaching, she kept her professional skills sharp as a scorer for the essay portion of the College Board SAT Reasoning Test, a grant writer for the Tarrant County Black Historical and Genealogical Society, and a Stanford test administrator for Bob Jones University Press. She also started her own business in consulting as a certified minority business owner. She served as a member of the Fort Worth Public Library Advisory Board and volunteer for the Botanical Research Institute of Texas (BRIT). Currently, she assists her husband in the orientation ministry at Good Shepherd Temple of Praise Church in Fort Worth. She is an avid historian who enjoys genealogy and tracing her family history as an ongoing project.